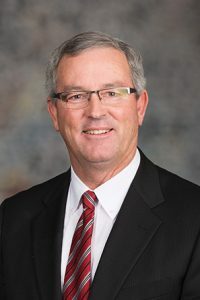 Lawmakers gave first-round approval Feb. 7 to a proposal to merge the state agencies responsible for recommending state energy policies and administering Nebraska’s environmental regulations. LB302, introduced by Venango Sen. Dan Hughes on behalf of Gov. 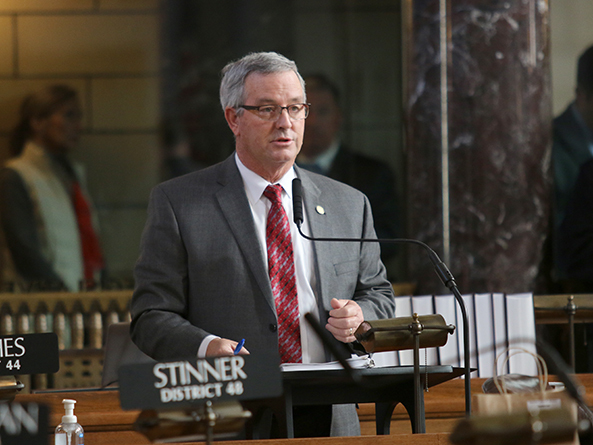 Pete Ricketts, would authorize the transfer of statutory powers, employees and assets of the State Energy Office into the state Department of Environmental Quality on July 1, 2019. The new agency would be named the Department of Environment and Energy, and the current director of environmental quality would lead it. The Nebraska Energy Office serves as the central repository for energy data relevant to Nebraska and provides the public with information on energy sources, use and conservation, in addition to other duties. The state Department of Environmental Quality administers the rules, regulations and standards adopted to protect and improve water, air and land quality in Nebraska. LB302 would authorize the newly created department to assume responsibility for a permit program related to the discharge of dredged or fill material consistent with section 404 of the federal Clean Water Act. The permits are required for any project that encounters “waters of the U.S.” as defined under the act. Federal law allows the program, which is administered by the U.S. Army Corps of Engineers and the Environmental Protection Agency, to be delegated to states with approved programs. Hughes said two other states, Michigan and New Jersey, have completed the delegation process. Senators voted 41-0 to advance the bill to select file.